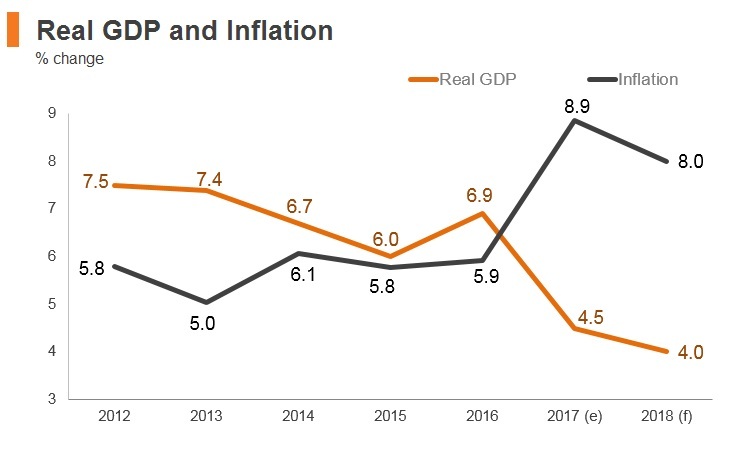 Tajikistan’s economy sustained robust growth in 2017, supported by an improved external environment reflected in exports increasing by 23% in the first nine months of 2017 compared to the same period in 2016 and recovering remittances. 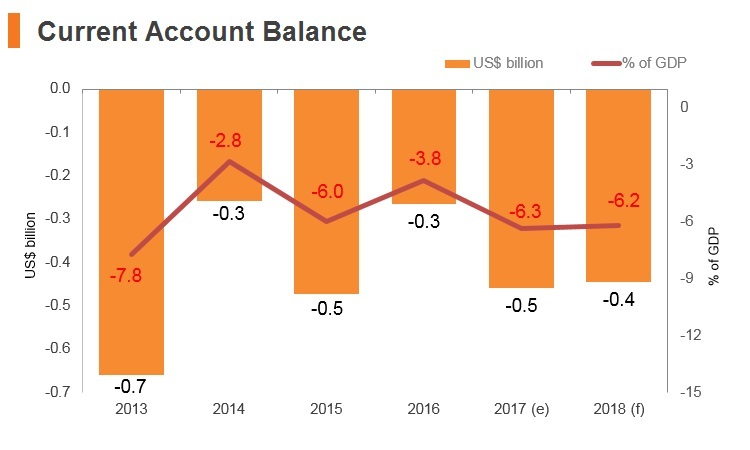 Prospects for poverty reduction remain positive as remittances continue to recover and growth is likely to be sustained in the medium term with the economy forecast to benefit from rising commodity prices and development of large-scale infrastructure projects. Referendum supported constitutional changes which scrap presidential term limits. Work began on the Rogun hydroelectric dam on the Vakhsh River. Downstream neighbour Uzbekistan has strongly opposed the dam, fearing the impact on its agriculture. Tajikistan has been a member of WTO since March 2, 2013. Tariff rates range between zero and 15%, with the overall trade-weighted import tariff averaging out to around 7%. The tax rate of 0% is granted to certain types of goods (e.g. some types of printed publication, unwrought wool, gaseous hydrocarbons, and electricity). 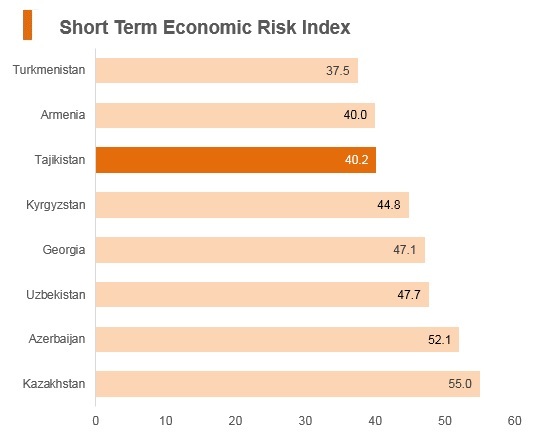 Tajikistan is signatory to several free trade agreements, primarily among the following Commonwealth of Independent States (CIS) countries: Russia, Belarus, Kazakhstan, and Kyrgyzstan. The importation of alcohol and tobacco products in Tajikistan may be subject to quantitative restrictions and excessive requirements for health, safety and security. 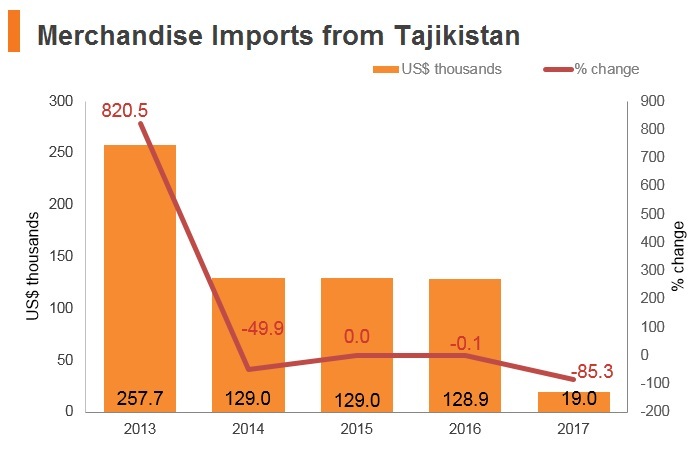 Armenia (effective date: March 1994): Tajikistan's main exports to Armenia were other made-up textile articles, sets, worn clothing, and worn textile articles and rags in 2016. 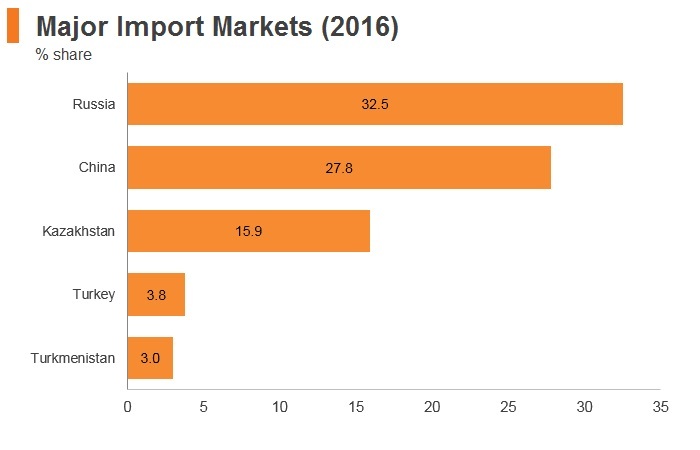 Tajikistan's main imports from Armenia were pharmaceutical products in 2016. 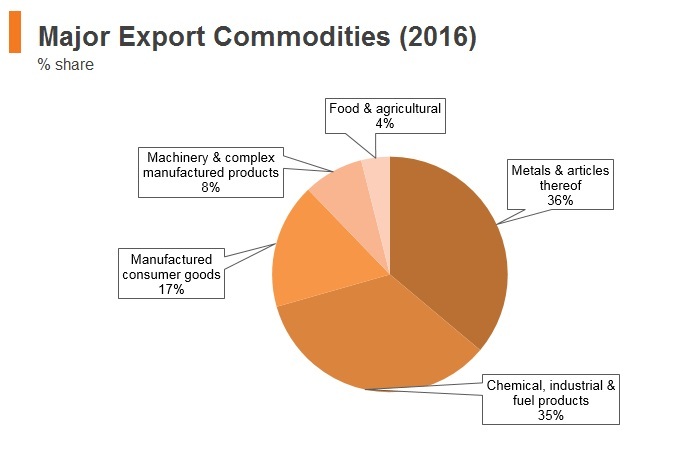 Belarus (effective date: 1998): Belarus exports to Tajikistan include sugar, tractors, carpets and flooring, construction materials, medications, malt, refrigerators, and freezers. Tajikistan exports to Belarus include cotton yarn, untreated cotton fibre, dried fruits and nuts. Kyrgyzstan (effective date: January 2006): Tajikistan mainly exports fruits, nuts and tobacco to Kyrgyzstan. Tajikistan's imports from Kyrgyzstan include coffee, tea, and milk, preparations of cereals, spirts and vinegar. Russia (effective date: April 1993): In 2017, Russia’s trade with Tajikistan totalled USD717.6 million, up 4.31% compared to 2016. 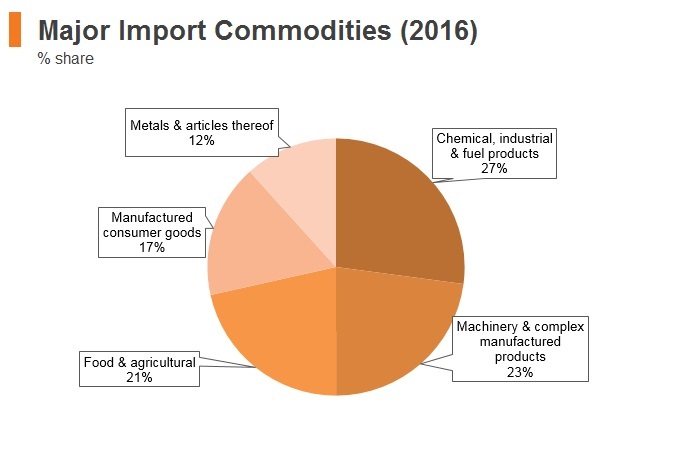 Ukraine (effective date: July 2002): The main imported goods from Ukraine to Tajikistan are foodstuff, canned goods, sugar, confectionery, pharmaceuticals, cement, bauxite, coal, coke, pitch, oil, synthetic corundum, aluminium oxide, aluminium hydroxide, motors and generators, turbines, paper, building materials, metal products, home appliances, agricultural equipment, tractors, machinery, products used in the electrical, railway cars, furniture and accessories. 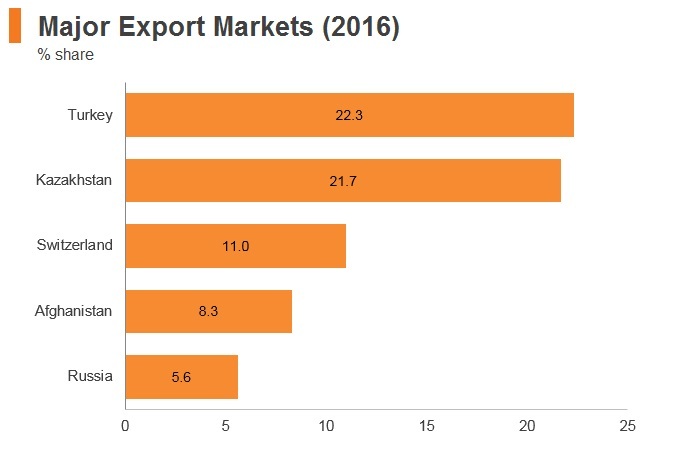 The main exported goods from Tajikistan to Ukraine are raw cotton, food products, including fruit and vegetables, dried fruit. 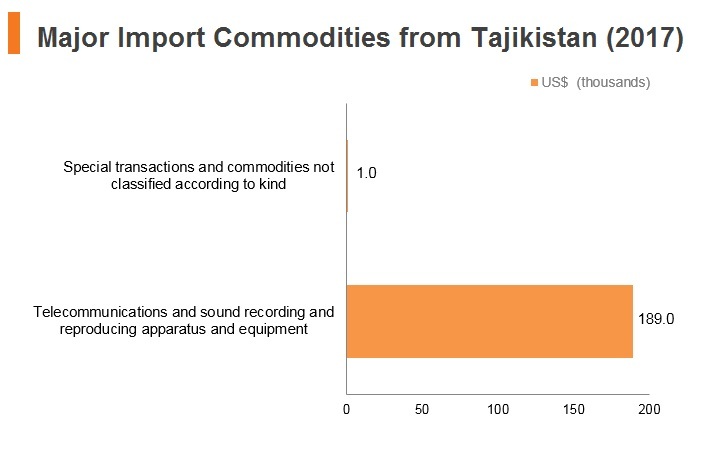 Uzbekistan (effective date: January 1996): Uzbekistan exports to Tajikistan mainly transportation services, mineral fertilisers and food products. 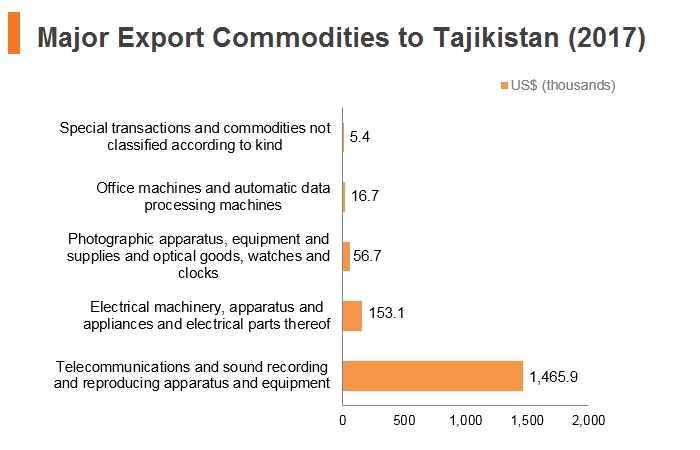 The list of exported Tajik goods includes cables, carpet products, building materials and coal. 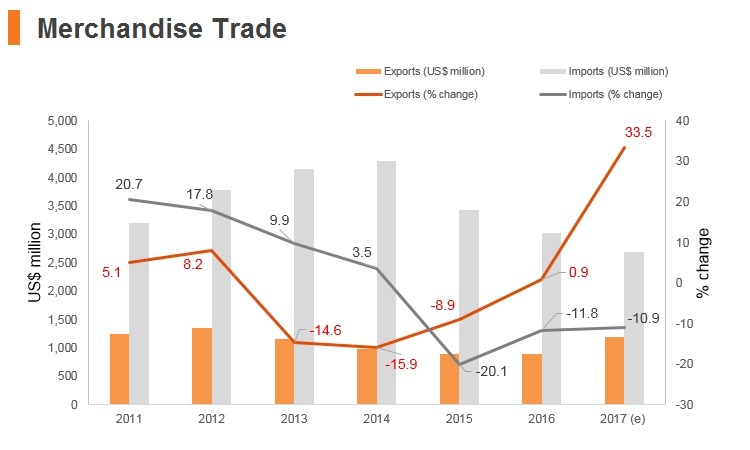 With a growing range of products traded, it is hoped that bilateral trade will reach USD500 million by 2020. Commonwealth of Independent States Free Trade Area (Effective date: September 2012) - The CISFTA is a free trade area between Russia, Ukraine, Belarus, Uzbekistan, Moldova, Armenia, Kyrgyzstan and Kazakhstan. The free trade zone area was designed to reduce all trade fees on a number of goods between participating countries. Economic Cooperation Organization Trade Agreement (effective date: 2008): Free trade region formed between the countries of Afghanistan, Azerbaijan, Iran, Kazakhstan, Kyrgyzstan, Pakistan, Tajikistan, Turkey, Turkmenistan and Uzbekistan. 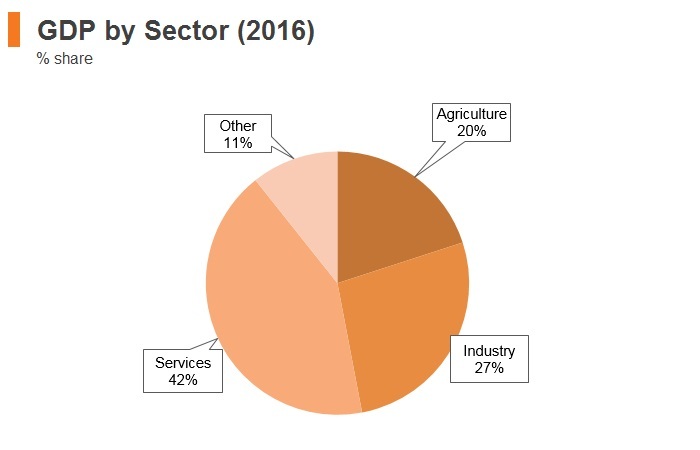 Intra-regional trade accounts for around 7.64% of the total trade of the member states. Eurasian Economic Union (EEU)/Eurasian Customs Union (ECU): Consists of Russia, Kazakhstan, Belarus, Kyrgyzstan and Armenia. No customs are levied on goods travelling within the customs union and members of the customs union impose a common external tariff on all goods entering the union. 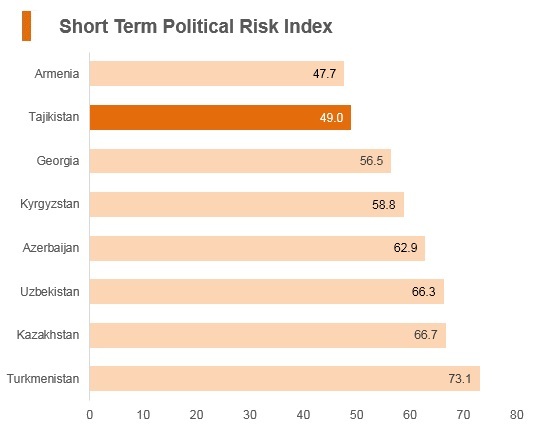 It is hoped that Tajikistan will have observer status in the medium term. 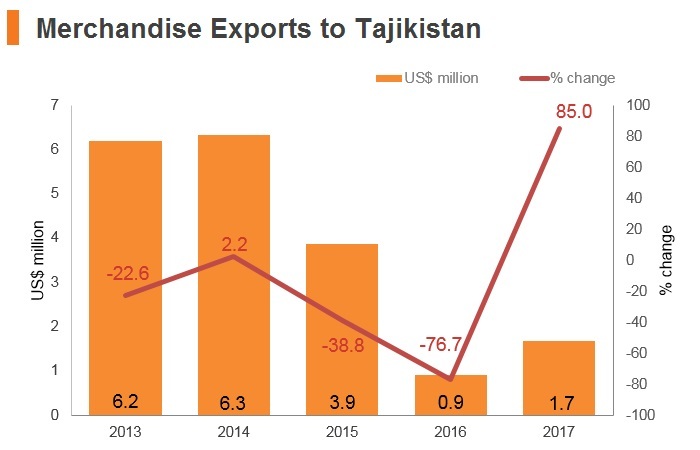 Pakistan-Tajikistan Preferential Trade Agreement: Pakistan’s major exports to Tajikistan include sugar, dairy products, medical and pharmaceutical products, construction material including cement. Raw cotton, chemical materials and products and glass and glassware are imported from Tajikistan. 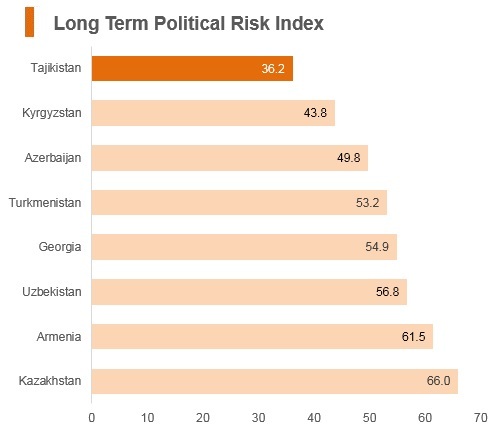 EEU/ECU: Consists of Russia, Kazakhstan, Belarus, Kyrgyzstan and Armenia. No customs are levied on goods travelling within the customs union and members of the customs union impose a common external tariff on all goods entering the union. 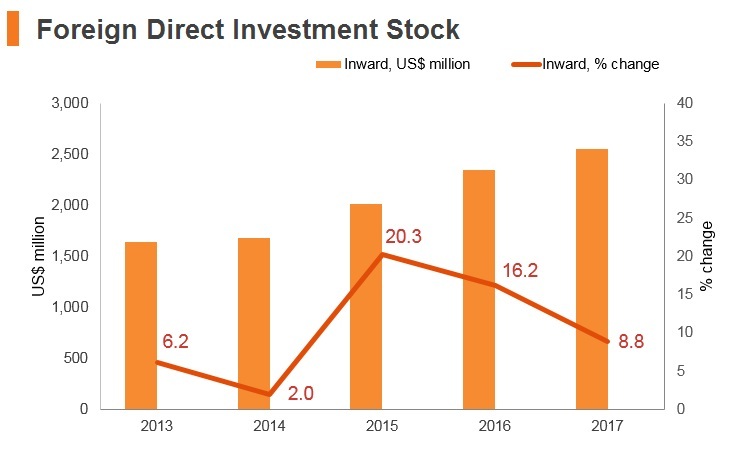 The State Committee on Investments and State Property Management of the Republic of Tajikistan chiefly facilitates FDI in the country. 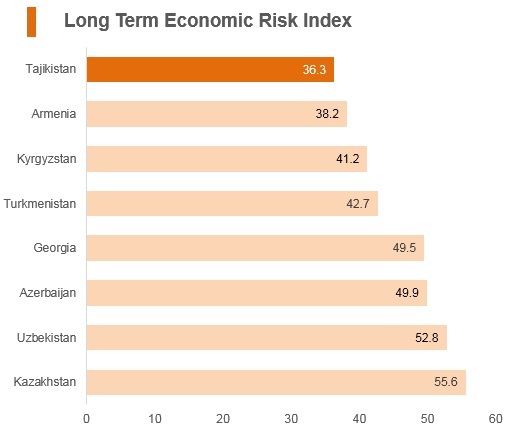 Tajikistan’s Investment Law (Article 4) guarantees equal rights for both local and foreign investors. According to this law, foreigners can invest by jointly owning shares in existing companies with other Tajik companies or Tajik citizens; by creating fully foreign-owned companies; or by concluding agreements with legal entities or citizens of Tajikistan that provide for other forms of foreign investment activity. Tajik law allows foreign firms to acquire assets, including shares and other securities, as well as land and mineral usage rights. Foreign firms may also exercise all property rights to which they are entitled, either independently or shared with other Tajik companies and citizens of Tajikistan. Tajikistan’s legislation allows for 100% foreign ownership of local companies. 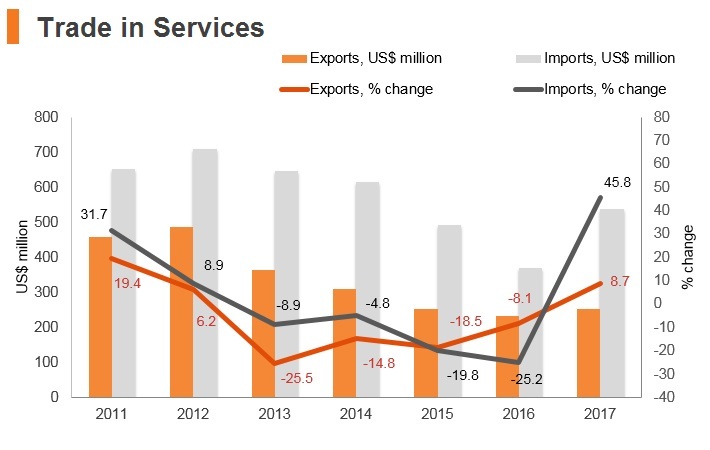 All sectors of Tajikistan’s economy are open to foreign participation with the exception of aviation, defence, security, and law enforcement which require special government permission for the operation of such types of businesses or services. The State Investments and Property Management Committee is responsible for filing and coordinating foreign investment project proposals as they pass through the review pipeline. - Import of goods to the FEZ is exempt from customs and taxes, as well as application of prohibitions and restrictions of an economic nature, established in accordance with the Tajik law; export abroad of goods from FEZ is exempt from customs and taxes, as well as application of prohibitions and restrictions of an economic nature, established in accordance with the Tajik law. - Businesses have the right to attract foreign workers, mainly in the position of managers and technical advisors; however, the number of foreign employees should not exceed 20% of the total number of employees in the FEZ. - The one-stop registration process speeds up the process of opening a business. The first planned tax audit of a small-size business entity, which applies the simplified tax regime, is carried out not earlier than three years from the date of registration, instead of two years. The planned tax audit of a taxpayer whose gross income is less than TJS25 million should be carried out not more than once every two years. Previously, the threshold for gross income was TJS15 million. According to the Tajik Law on Audits, for local companies at least 70% of the workforce must be local employees. If the CEO of the company is foreign, then the percentage of local staff should be at least 75%. Work visas for foreigners are issued in Tajikistan for a duration of no more than three months. Work visas can be extended on the basis of a work permit, provided by the Migratory Service of the Ministry of Internal Affairs of the Republic of Tajikistan. Companies attempting to employ foreign citizens must apply for a corporate work licence in order to receive permission to hire foreign employees. A letter must be submitted to the immigration authority outlining the staff list of the company. A corporate work licence is issued, subject to application as well as the demands of the local labour market. corporate work licence is usually issued for up to one year and but can be extended on an annual basis; work permits for foreign nationals must be obtained by a company on the individual's behalf, and last for up to one year, with the possibility of extension. Dependents may accompany a main traveller by obtaining a visa on the basis of the main applicant's application. Tajikistan's economic success is increasingly tied to the construction of the Rogun Dam, which is projected to be completed in 2032 and the government issued USD500 million of 10-year Eurobonds to finance the construction. If completed on time, the dam will produce enough electricity to meet Tajikistan's needs and be sold to neighbouring countries. This would be a boost to the economy, which suffers from recurrent power outages. However, failure to complete the project risks complicating the process of rolling over its debt. 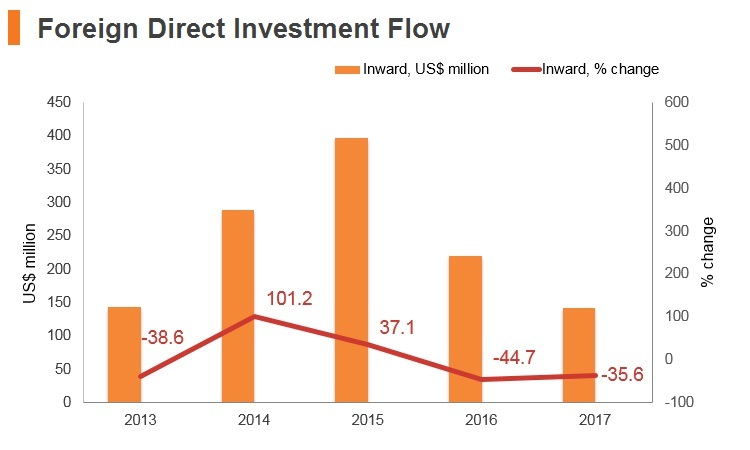 Subsequently, risks remain high and the government will have to maintain fiscal caution over the coming years to ensure investor confidence. 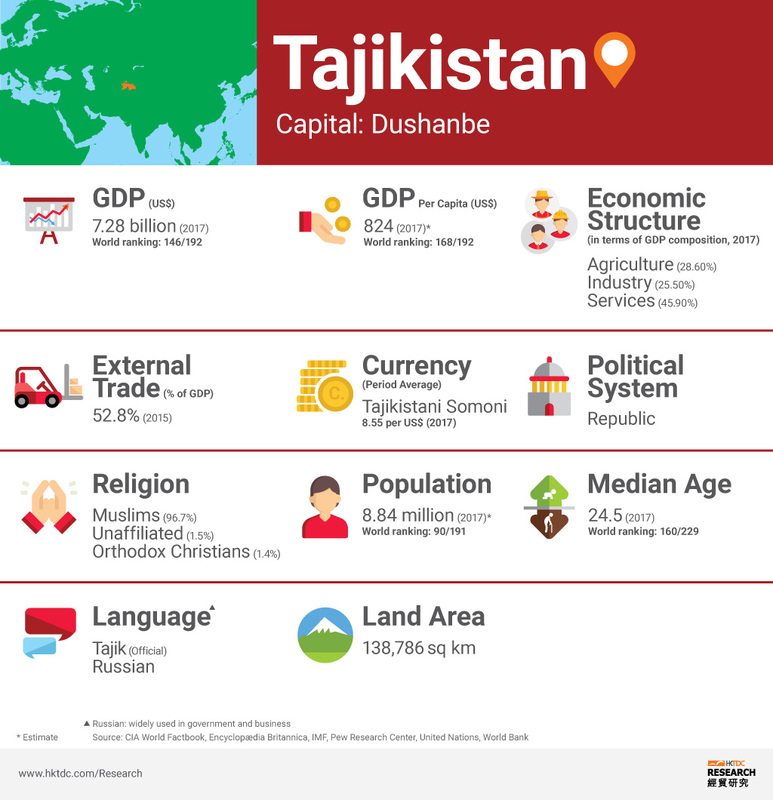 There are considerable additional costs associated with employing workers in Tajikistan, which include generous overtime premiums, high annual leave allowances, and significant labour taxes and social security contributions. Although severance packages are not particularly burdensome, employers are required to give workers over two months’ notice for redundancy dismissal, which restricts the ability of investors to react speedily to changes in market conditions. 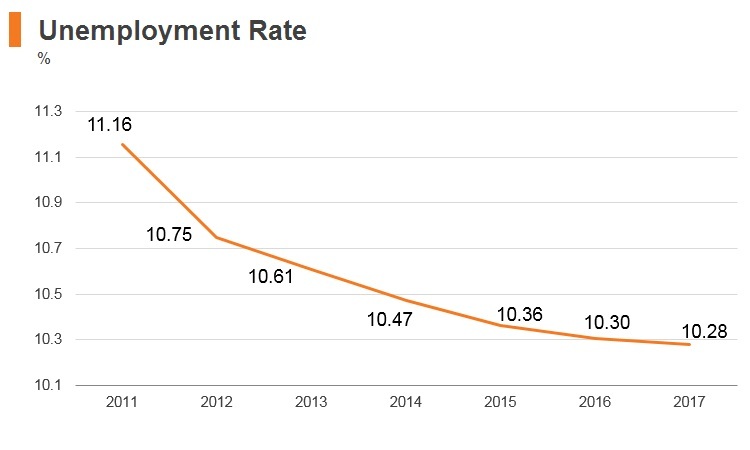 In addition, the productivity levels remain hamstrung by logistics gaps, shortages of skilled labour and slow reform momentum in terms of investment policy. Bilateral Investment Treaty with China entered into force in January 1994. Hong Kong citizens need to apply online for an electronic visa for stays with a duration of up to 45 days. Citizens need to visit the website: Visa Tajikistan. On the website, applicants need to fill in their personal information, upload a copy of your passport and pay a fee of USD50 by credit card via the website. Once this is done, applicants receive an electronic visa by email within two days.